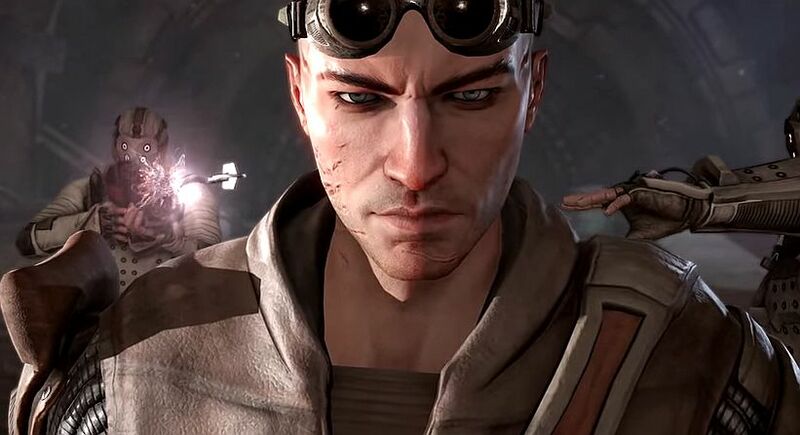 A trailer for cyberpunk RPG The Technomancer has appeared magically out of nowhere. Actually it was in our inbox, but that doesn’t sound as interesting. In the video, main character Zachariah attempts to communicate with Earth, but he’s having issues connecting – plus he’s being chased by Mars’ secret police. At one point you see what appears to be the main antagonist, watching as his police squad beat people in the street. We are assuming he’s the main bad guy going by his haircut. Bad guys in futuristic stories never have a decent haircut. Barbers must be few and far between in the distant future. As players explore the planet as Zachariah, they will come across artifacts scattered around the Martian landscape where “hordes of humans physically scarred by cataclysms of the past” dwell. The planet holds many mysteries and quests yield many results depending on how the player chooses to solve said mysteries. Luckily, companions who join Zachariah will provide more information when friendships are formed. Developed by Spiders studio, The Technomancer is in development for PC, PlayStation 4 and Xbox One. It’s due in 2016. The game’s soundtrack was composed by Olivier Derivière (Remember Me, Assassin’s Creed 4: Freedom Cry), and it sounds like it will be rather varied, going by the trailer.